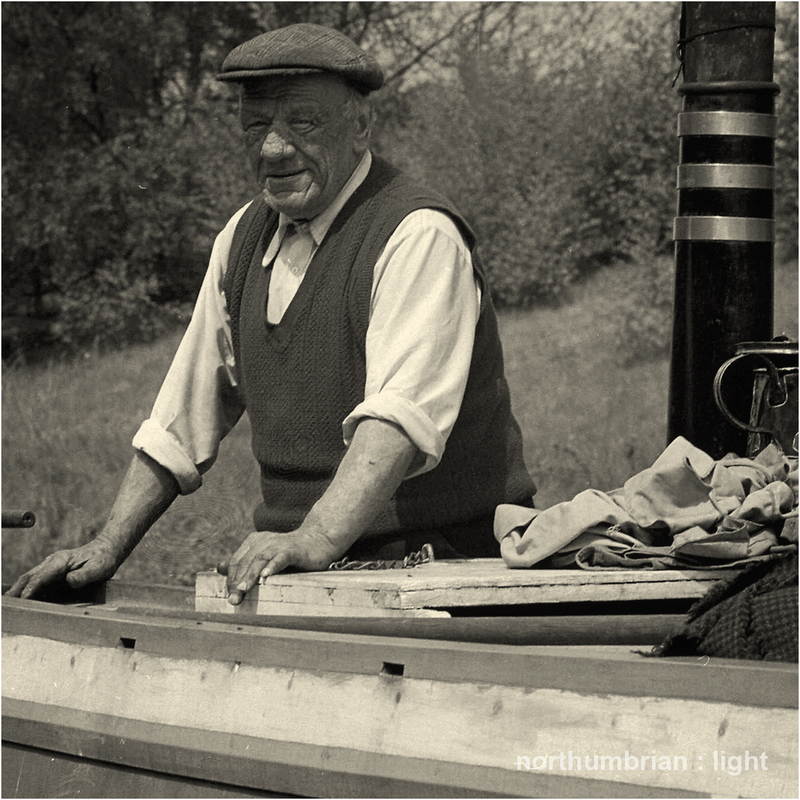 From the same trip as the previous post, this is ‘Chocolate Charlie’ on his narrowboat, Mendip, moored near Preston Brook in the Spring of 1977. Charlie Atkins aquired his nickname from the cargo he carried for much of his working life – chocolate crumb from Ellesmere Port to the Cadbury’s factory at Bourneville, Birmingham. W H Auden – A communist to others – 1932. (I feel sure Charlie would have come up with something more cheerful). It is – immortalised in song is possibly the best way to be remembered. Such a great face! Actually, I love the lines from Auden. Wonderful isn’t it, a face that sailed rather than launched a thousand ships. I was ok with the Auden verse until the finality of the last line. Great portrait, all life lived in those lines…. Thanks Sue – indeed, a life well-lived. What a face. There’s a story in each and every one of those wrinkles. Isn’t there just and probably every one with a wink and a smile. Older faces have so much character, they are interesting! So many times, these days, we turn away because they aren’t dewy, young and perfect. How much we miss, by not stopping to look. I love this post! Many thanks – there is much to be said for growing old gracefully and not raging against the inevitable. Oh, a wonderful and sweet job Chocolate Charlie had! Wonderful photo and a beautiful window into a life which has passed through, working hard. Many thanks Seonaid – he was a very friendly and willing subject. Brilliant shot and story. I wonder if chocolate crumb is the stuff that wholefood shops sell as cocoa nibs these days. I eat them in an attempt to assuage chocolate lust, which they do actually – though totally unsweet. Good on porridge! They can be a bit crunchy, so watch out for any dodgy molars. A man of character. The contribution he’s made by working hard every day of his life is priceless. Beautiful Photograph. I remember the poem, Robin. That’s a great character study. Thanks Jo – I have not done that stretch of the Grand Union, one day hopefully. Many thanks Malin, much appreciated. Lovely. Informative and affectionate. Reminds me of why I so enjoy my visits to your blog. Regards Thom. Many thanks Thom, much appreciated – sorry for the slow reply – we are out on the canals again where Internet connectivity is patchy at best.